Though smartphones make sharing photos with friends and family very easy, you're going to get much better pictures with a traditional camera. Fortunately, you don’t have to choose — get both the convenience of quick sharing and the best image quality by upgrading to a WiFi camera or adding wireless capability to an existing camera. Plenty of cameras these days come with WiFi already built in. 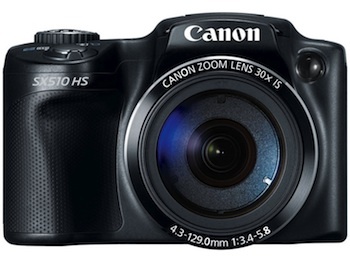 For a compact camera that costs around $200, the PowerShot SX510 ($199 on Amazon) packs in a wide range of features, including a 30x superzoom lens and full manual mode. When connected to a Wi-Fi hotspot, this camera can upload pictures and video directly to Facebook, Twitter, YouTube or Flickr. You can upload directly from the camera with a Canon Image Gateway account. If you'd like to bypass creating an account, it's easy to pair the SX510 with an Android or iOS smartphone or tablet to transfer images wirelessly using Canon’s CameraWindow app and then share to your social network accounts. The app will also geo-tag photos using the mobile device's GPS. Canon's app doesn't have remote viewfinder capabilities or picture-taking capabilities. Looking for a more powerful shooter? 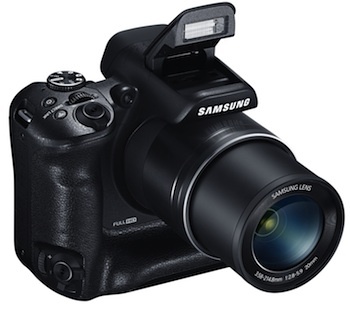 The Samsung WB2200F ($399 on Amazon) fits the bill with a huge 60x zoom lens, electronic viewfinder, manual controls and a 16.4-megapixel, backside-illuminated CMOS sensor for taking properly exposed pictures even in low light. What makes the WB2200F special is an integrated grip that makes holding the camera in portrait orientation just as comfortable as in landscape. That makes for a camera that's a little bulkier than your average compact, but the extra girth (and battery life) is worth it. Samsung's experience with Wi-Fi camera integration is apparent in this model. Built-in NFC (near field communication) makes pairing and connecting the camera to an NFC-enabled phone or tablet a one-step operation; just tap and you're set. From there, you can either send select photos to the mobile device or sync photos as you shoot them. The Smart Camera app for iOS and Android includes a remote viewfinder feature, allowing you to take a picture and control the zoom from across the room. 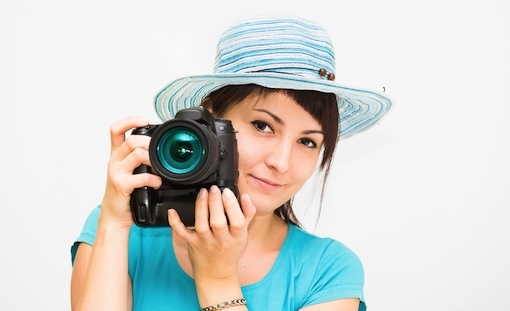 Even without a smartphone, you can send photos and videos directly to Facebook, Picasa, YouTube or Dropbox when the WB2200F is connected to WiFi. Want Wi-Fi capabilities but don't want to buy a new camera? You need an Eye-Fi WiFi SD card. We suggest the new Eye-Fi Mobi, which features a simple setup and can transfer photos directly to a computer or to a smartphone or tablet (via an Android or iOS app) while you shoot. While you won't get the high-end controls found on cameras with WiFi built in (such as remote viewfinder or direct uploading to social networks), its speedy image transfer means posting from a phone doesn't take much extra effort. 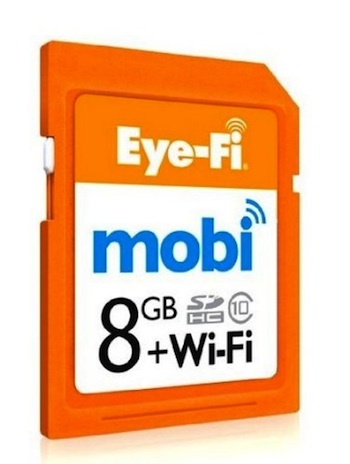 The 8GB Eye-Fi Mobi is $43.95 at Amazon. Actually, with us—it’s even easier to get onto social sharing, then with WiFi cameras. We’re all about automating everything, so that the customer could focus on just taking pictures. Once the photos or videos are on the phone or tablet via the mobi card, they can easily be shared either from within our app, or the normal “intents” of iOS and Android. With WiFi cameras—that process takes a lot more user input and intervention. Hi Ziv - for those of us who shoot with cameras that use a CF card (Canon 5D Mark II), does your company produce a Mobi in that format? I am very excited to see this technology. As a photographer, I despise using the camera on my phone!